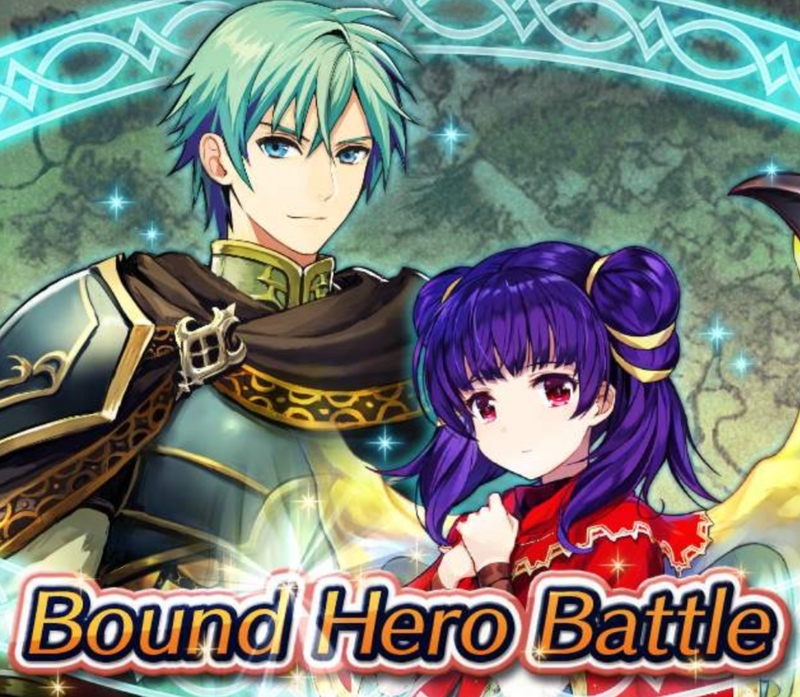 Heroes: Ephraim & Myrrh Bound Hero Battle Revival! Eirika takes a back seat while Myrrh’s around Ephraim. 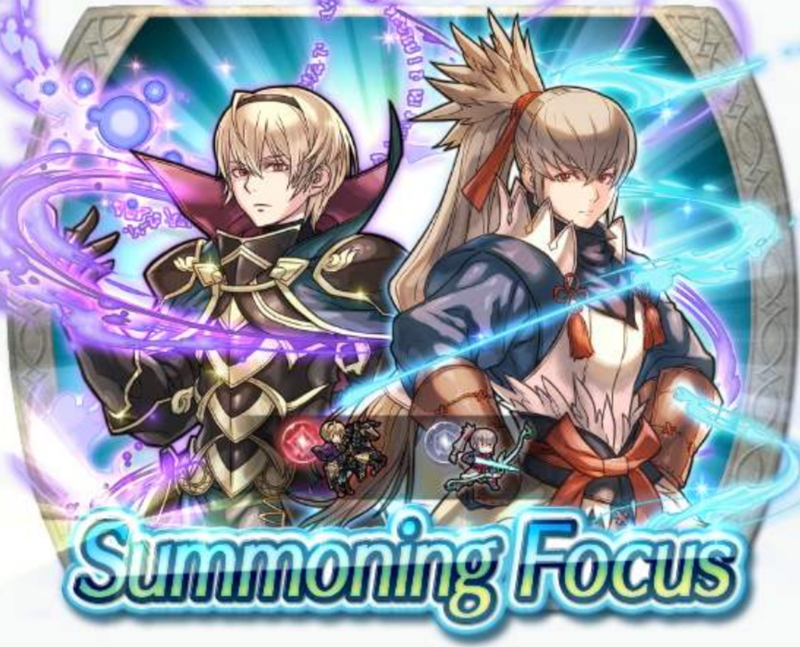 It’s a Bound Hero Battle Revival: Ephraim & Myrrh! Ephraim: Restoration Lord and Myrrh: Great Dragon are the main opponents within this challenge. Rewards are 2 x Orbs for beating Hard, 3 x Orbs for Lunatic, and 4 x Orbs for Infernal. Since this is a revival, if you’ve already beaten them before, you can’t earn these rewards again. However, there are new BHB quests for everyone to complete, and doing so will net you up to 5 Orbs. The BHB begins today and will run until the 25th of April, 6:59am UTC. Since it’s Thursday, a new Tactics Drills map has been added: “Feline Perimeters” under Skill Studies. Lethe and Ranulf fight together against a hoard of enemies. Make use of their skills and find a way through all the enemies in 5 phases. The reward for completion is 300 Feathers. 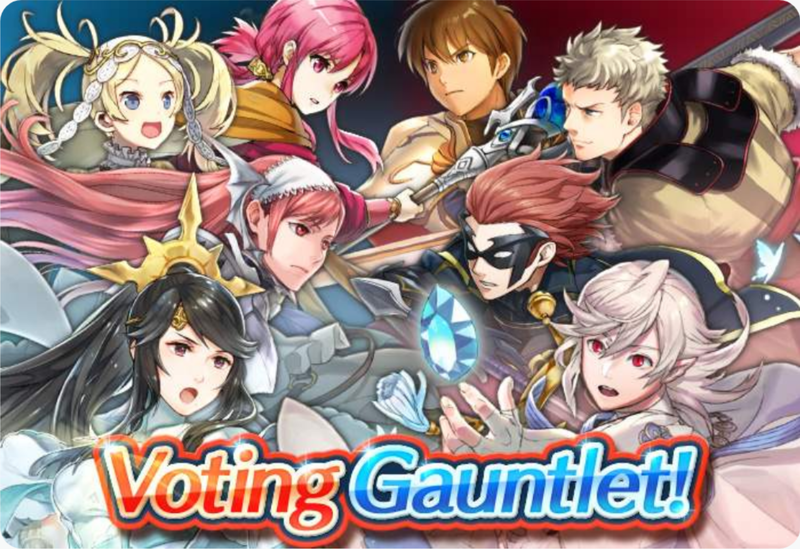 Heroes: Information on upcoming Voting Gauntlet, and VG Banner up! A new Voting Gauntlet titled “Destructive Forces” will begin on the 1st of April, 7:00am UTC. The bracket is shown in the image below. Gharnef, Julius and Garon are Grand Hero Battle rewards that you can recruit by using Heroic Grails, should you not own one but wish to use them for this VG. The other five are Duma, Hardin, Idunn, Grima (male), and Surtr. You can click on “Read more” to read on about changes to the Voting Gauntlet, as well as the Voting Gauntlet summoning focus. 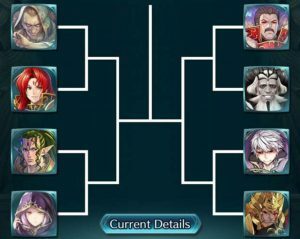 Heroes: “Mothers and Sons” Voting Gauntlet has begun! 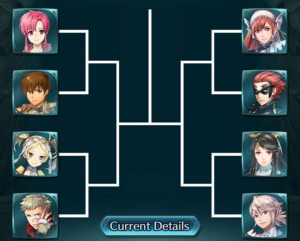 The next Voting Gauntlet has begun, so get behind your favourite mother or son, and score as much as you can to help see them through to victory. As you can see, right off the bat it’s the mothers being pitted against their own sons. 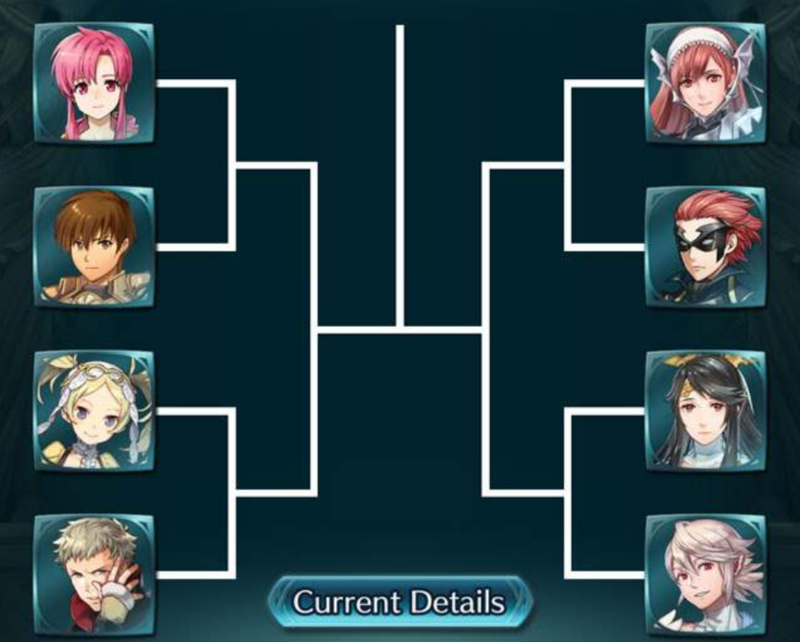 It’s completely possible to have all mothers or all sons knocked out by round 2 (as Muspell was vs Nifl during that Voting Gauntlet). This Voting Gauntlet will end on the 6th of February, 3:59AM UTC. Also today: New GrandMaster difficulty release of Tactics Drills, titled “On the Run.” Complete the challenge to earn 300 Feathers!